Alpena Community College’s Nursing Program curriculum contains both the Practical Nursing (PN) and the Associate Degree Nursing (ADN) Programs and is designed to improve nursing career mobility and provide seamless progression from PN to ADN education. ACC's Nursing programs are accredited by the Accreditation Commission for Education in Nursing. 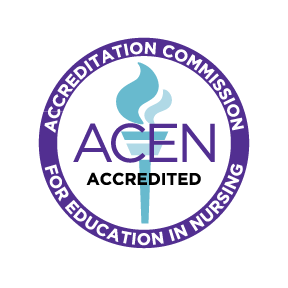 For more information about this accreditation, visit www.acenursing.org. The nursing curriculum at ACC is designed to promote career mobility and offer qualified students alternative educational tracks according to their career goals. With two entry and exit points in the curriculum, students can achieve the level of nursing education that is best for them. Before starting the LPN certificate (Level I), students are required to successfully complete specific general education prerequisite courses. The Registered Nursing Program (Level II) includes the Level I curriculum, plus two additional semesters of nursing courses. Students also participate in clinical work at several local health care facilities. Nursing students are expected to maintain at least a 2.0 grade point average to stay in the program and must have a minimum 3.0 grade point average to be accepted into the Level II AAS degree program. Whether you graduate with a certificate or an associate degree, you will be required to pass a licensure exam for your respective field of study. Before starting, your academic background and assessment scores or testing results are reviewed to determine the right courses to take. Review classes are also available to prepare you to meet the academic requirements of the ACC Nursing Programs. Students with college course work at other institutions can have official transcripts evaluated for possible transfer credit. Students learn in a simulated hospital area with equipment used in health care facilities. Computer simulation programs enhance your critical thinking skills. UM-FlintUM-Flint and ACC have collaborated to offer select UM-Flint courses leading to a BSN degree through a combination of classes on-site in Alpena, Flint, and online. Current ACC students may enroll as a UM-Flint Guest Student while completing course work at ACC. A Financial Aid Consortium Agreement is in place for students who wish to utilize financial aid between ACC and UM-Flint. ACC graduates who successfully pass the NClex typically receive 77 credits towards Chamberlain’s 122 credit RN-BSN program. Those individuals would then have the opportunity to bring in up to an additional 15 credits from the attached transfer guide. All students must take at least 30 credits with Chamberlain to earn their BSN from us. A copy of the Alpena-Chamberlain transfer guide is available here. Oakland UniversityAfter completing your RN Degree at ACC, students can earn their BSN from Oakland University by completing just a few further steps. For more information, read through these transfer steps or contact nrsinfo@oakland.edu. As a licensed practical nurse (LPN) you work under the direction of physicians and registered nurses. You provide care such as taking vital signs, performing routine laboratory tests, feeding and bathing, recording observations, assisting physicians during treatments and examinations, administering medications, and assisting in convalescence and rehabilitation. You’ll find the greatest job prospects for LPNs to be in hospitals, nursing homes, or doctors’ offices. As a registered nurse (RN), you provide and coordinate nursing care. Based on your assessments, you prioritize needs and delegate aspects of nursing care to LPNs and assistant personnel. You’ll find the greatest number of job opportunities for RNs in hospitals, extended care facilities, and home care/community health settings. With additional education and experience, career opportunities in management and education roles become possible.